Welcome to the lender-owned homes section. Use the links below to review lender-owned, reo, bank-owned and foreclosure properties. You can make a request or sign-up for property updates. Please be sure to visit this section often and sign-up for our property updates. You will be able to review new listings as they become available and we update lender- owned, foreclosure and REO (real estate owned) properties on a regular basis. See Pre-Listed Bank Owned Homes Before Anyone Else!!! Here is a full list of all our Pre-Listed Bank Owned properties, Off MLS, and coming soon. You will find an address for each property. For your personal private showing, please contact Desert Dream Realty at 480-252-8300. ATTENTION REALTORS! Show these homes before they are on MLS! All homes that have a MLS Supra lockbox can be shoen prior to MLS listing. NOTE: please check the status list to ensure a supbr lockbox has been placed on the home. If is says DRIVE BY ONLY, please only drive by these homes and may be tenant occupied or unsafe to enter. Here are all the lender-owned, bank-owned, REO and foreclosure properties in the Phoenix and surrounding areas. 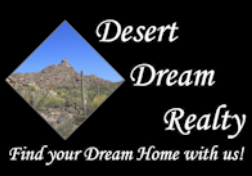 Search Lender Owned, bank-owned, REO and foreclosure land and lots for sale in the Phoenix and surrounding areas. Most banks already have escrow open at a title company. All banks have addendums your clients need to sign, check the documents section of the mls website if we have the addendums early they will be there. NOTE: Do not fill them out, they are just there for your review. ALL banks will fill out the addendum once agreed terms have been met. Most homes are sold AS IS please explain to your clients what that means. Please call with any questions we are always happy to answer them! Welcome to the real estate Lender-Owned Request Form. By filling out the following form, a list of matching homes for sale can be made available for you. Please note, this is a free real estate service and there is absolutely no obligation.